There was this part of me, as a black woman under 30, that didn’t feel like she should have the nerve to even strive for the things she was striving for. I shouldn’t have had the nerve to even talk about the things I talked about. There were times I would sit with a friend, and would attempt to explain this negative inner dialogue, “But who told me I could do this? And get away with it?” And the truth is, whenever something went wrong in my personal life, I often felt like it was my personal debt to bear for even attempting. I think if you speak to any other seemingly successful black woman who happens to also be a mother, and comes from a similar childhood, you’ll find that this negative inner dialogue isn’t that unique. Part of my desire in sharing what I’m doing, dreaming, or creating, is a inner desire to strip other women (including my own daughter) of this deep-rooted belief that they can’t push further or past said boundaries. When my mentality started to shift, I sorted through abandoned ideas, and started to build on them. When I speak to River about the book or my work, it isn’t just a book that I want to write, sell and somewhat abandon. It is something that goes beyond the little desk in the corner where the sun taps on my back. It is something that isn’t yet birthed, but tangible. I don’t just want to do it to do it. I can’t. I want to, and need to, risk it all. And I want my daughter to do the same one day if she feels called to. 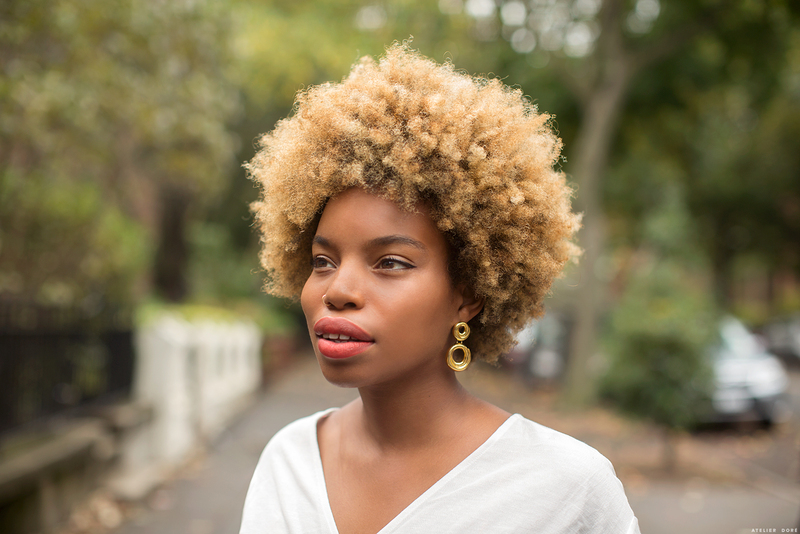 A friend sent me this article, and I thought about this old inner dialogue, that it is not only about being black, but in general, focused on being a woman today. What is wrong with that? I don’t think I’m wrong for thinking that. Absolutely nothing wrong with that. In fact as mothers of girls we own that to our daughters, times are a changing!! As a young arguably successful woc, (I am 31 and a university professor!) I wanted to give you props for writing about this. We are socialized by our race, class, gender, etc to be and feel limited. Some don't have the privilege to achieve what they want, or the supportive environment to unthink all of the horrible things we've been taught to believe about ourselves. And while one person can't undo generations and whole structures of harm, we can and have to build each other up and teach our brothers sisters and our children that we deserve it all and more. Because if we don't who will? This is so inspiring, and a very timely read for me. Thank you so much. A new day is dawning! Congratulations!! And thank you for this insightful and beautiful comment. Yes and yes and more yes!!!! Thank you Lors for reading! Previous post: What New Sneakers To Buy?